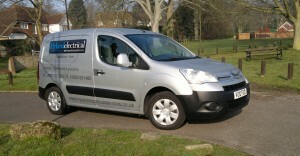 Welcome to Hyland Electrical Services & Installations, we are a family business based in Bearsted, Maidstone in Kent. Started in 2008 we have grown through offering an excellent service. Our team are always happy to help, with advice and practical solutions. This can save time and money, if you involve us at the incubation of your ideas. Maidstone Electricians | Domestic Electrical Kent | Commercial Electricians Maidstone | Web site design by www.popi.co.uk | Copyright © 2011. All Rights Reserved.